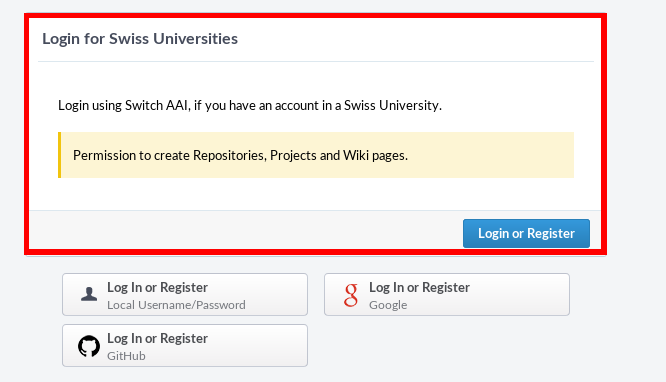 You belong to a swiss university and want to create repositoris and projects. your account will be created automatically. 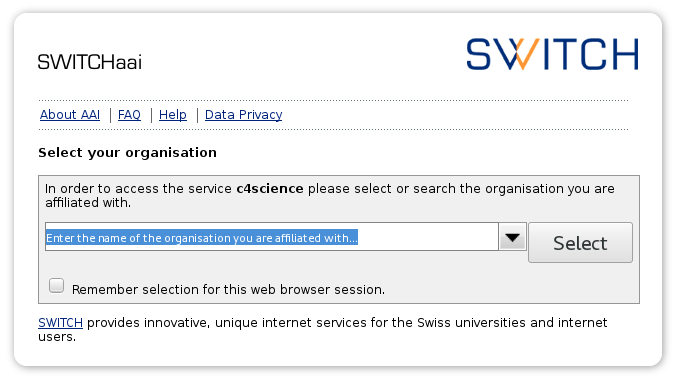 You may have to complete some information before the account is created (email, name, ...). Click Register. You want to access an existing repository.